Before creating this creative adaption what I asked myself was, “what act and scene will I do specifically.” I feel very strongly about this play and there was many things I disagreed with it. Emilia, one of the characters from Othello, is my only favorite from this play for only one reason, she is the only one that opens up about how women during this time would get treated. I thought to myself that I knew I wanted her to be in the scene that I was going to recreate with this comic. As I thought about what act and scene I would choose I asked myself, “what act and scene made me favorite Emilia?” I decided to chose Act IV, scene III, where she is talking to Desdemona about Othello in her bedroom. During this XP challenge what I learned about myself is that I am able to learn and do new things I thought would be hard for me to accomplish. 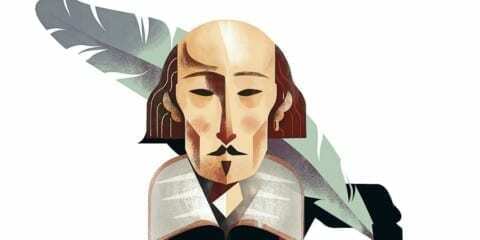 Now I can say that Shakespeare is a very challenging subject learn but that it isn’t impossible. Also, I learned that I am able to get through really hard assignments, I just have to remember myself that I got through Shakespeare. Shakespeare in Comic Form by Valeria is licensed under a Creative Commons Attribution-ShareAlike 4.0 International License.